Welcome to Keyvnor View! 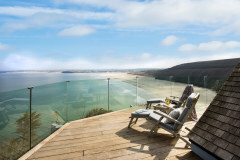 This truly exceptional architect designed, detached coastal retreat can accommodate up to 9 guests in 5 bedrooms and sets the scene for a luxury Cornish holiday beside-the-sea. 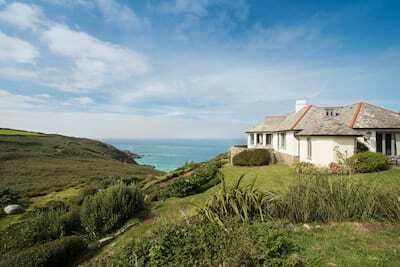 Keyvnor View enjoys a fabulous coastal position offering far reaching views towards Land's End, Longship's Lighthouse and the rolling Atlantic surf. 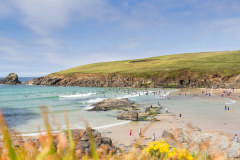 This latest addition to our exclusive Cornish Cribs collection is perfect for luxury holidays all year round from winter weekends with celebrations in mind or week long summer adventures in West Cornwall. An extensive garden and wood fired hot tub. 2 dogs are welcome to stay. 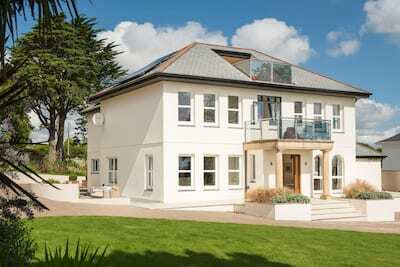 Keyvnor View (also known as Hendra Cottage locally) is a fully renovated luxury holiday home that has been cleverly designed showcasing superior interior standards complemented with a backdrop of ever-changing coastal views. From the moment you arrive this country-coastal chic home oozes considered style from the creative talents of local designers Camelia Interiors with a thoughtful layout ensuring comfort and space for larger groups. The central living space is the hub to the house and has been dressed to perfection with a fusion of textured fabrics, a warming palette of hues from rich azure blues to contrasting mustards. Enjoy cosy fireside evenings as the wild winter weather blows or take advantage of a quiet afternoon with a favourite book. 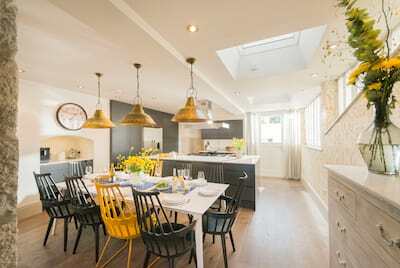 The kitchen and dining spaces are set to impress and welcome celebrations. The kitchen offers all the mod cons you would expect yet evokes a country kitchen with soft sage cabinets and bespoke tiles. Dress the dining table for a dinner party to remember or simply enjoy lunch on the go, the chunky wooden table has been resident of Keyvnor View for over 35 years and has been thoughtfully placed to capture the coastal views. Children and adults alike will enjoy the separate snug room where guests can escape the hubbub of holiday life. The boutique style bedrooms are set over 2 floors (please refer to the bedroom layout) and have each been individually styled and furnished to the highest of standards. Statement windswept inspired wallpaper and furniture with a nautical twist remind guests of the stunning Cornish surroundings. No less considered, the contemporary bathrooms offer the perfect sanctuaries after a day on the coast. Throw back the doors from the living spaces to the green lawned garden and beyond towards the coast and the South West Coast path, this extensive garden offer ample space for children and dogs to play. 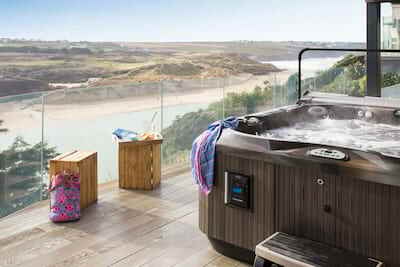 Enjoy lazy summer days from the outdoor terrace and unique wood fired hot tub, the perfect way to soak up the views and immerse yourself in the Cornish elements. 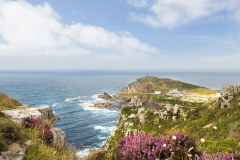 From your holiday door the West of Cornwall is just waiting to be explored from the myth and legend of Land's End, the golden sands of Sennen Beach with its perfect surf breaks and the picture perfect fishing coves of Mousehole, Zennor and Lamorna. 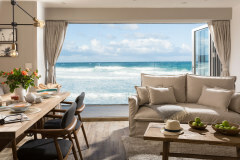 If good old fashioned beach days are on the agenda then you are well placed, Sennen Beach is the nearest sandy beach which also offers 'The Beach' restaurant and bar for early evening sundowners. 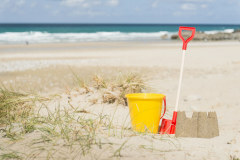 Porthcurno, Gwenver, Marazion and Praa Sands each offer some of the finest swimming waters in the county. 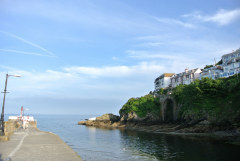 Take to the coast and follow the winding road heading north towards St Ives, a cool cosmopolitan harbour town packed with Cornish charm, a tempting collection of art galleries and potteries, artisan cafes and first class restaurants. 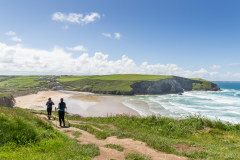 Whether your time in the heart of West Cornwall is short or you have time to live the Cornish life for a while, check in to bespoke luxury at Keyvnor View for rest and relaxation. Bedroom 2 1st floor. Double bed with 2 x bedside table and lamps, chest of drawers, wardrobe. Bedroom 3 1st floor. 5ft zip lock king bed, 2 x bedside table and lamps, chest of drawers, wardrobe, sea view. Bedroom 5 Ground floor. 4ft double bed suitable for single occupancy only, 2 x bedside tables with lamps (Please note storage for this room is within the understairs cupboard) Ensuite. Main bathroom (first floor): Oval bath, hand-held shower, heated towel rail, toilet and wash hand basin. There is a large kitchen diner. The kitchen is fully fitted offering a range of integrated appliances. Decked terrace accessed from the kitchen and living space, leading to a grassed lawn. 2 well behaved dogs are welcomed - the garden is not completely enclosed but does have natural boundaries of stone wall and scrub land, the garden is ample for dogs to be exercised. 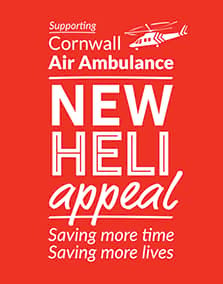 This is the second time I have used Cornish Gems and I would use again. The service is awesome, Lucy in particular is great. I love the website, so easy to use and I especially love the detail and how you can drill down to what you are looking for. Thank you, I will be back! 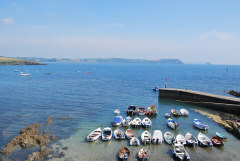 Keyvnor View is a beautiful property which we loved staying in. The view is absolutely stunning and it is so relaxing there.